The victims were the wife and son of additional district sessions judge Krishan Kant Sharma, for whom Mahipal had been working for two years. The accused tries to shove the judge’s son into a car after shooting him. 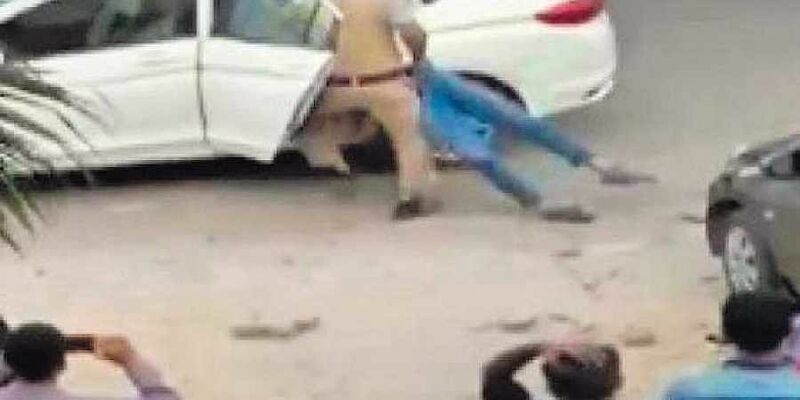 NEW DELHI: A gunman who was to guard the wife and son of a judge turned his weapon on them as they were leaving a mall in the National Capital Region on Saturday. Amid plenty of onlookers, he tried to shove the unconscious boy into a car, failed, and then jumped into the driver’s seat and sped away. The accused, Mahipal, a head constable, was later arrested. He had been demanding leave for the past few days, but was denied, police officers said, adding that this might have left him depressed. “The judge also used to scold him often,” one of the interrogating officers said. On Saturday, the judge’s wife scolded him inside the car when they were going to the market, the officer added. “Locals informed the police about gunshots being fired outside the Arcadia market (in Sector 49, Gurgaon). When a police team reached, they found Ritu (the judge’s wife) and Dhruv (son) lying in a pool of blood. Ritu suffered a bullet injury in her chest, while Dhruv was shot in the head,” said DCP-East Sulochna Gajraj. Both victims are in hospital, and are said to be critical. They are the wife and son of additional district sessions judge Krishan Kant Sharma, for whom Mahipal had been working for two years. Footage of the incident showed onlookers recording videos of the crime on their phones.